Concetta (Connie) Russo, EdD is currently a full-time assistant professor at the College of New Rochelle, having previously been an assistant professor at Seton Hall University. She was director of special education for the Massapequa Public Schools for 18 years. 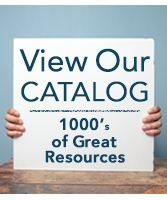 Russo's research, teaching and clinical practice address the treatment of reading disorders, specializing in the remediation of dyslexia and phonological processing and the implementation of the Response To Intervention (RTI) process. She has had a private practice as a learning specialist for 29 years and currently consults with public and private schools in establishing Response To Intervention and alternative reading programs. 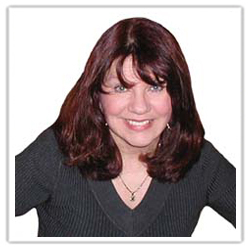 Her consulting firm is Crossroads for Educational Services, Inc.
Russo's works include the Recipe for Reading Workbook series, as well as the Orton-Gillingham based reading program, Bridging the Gap. 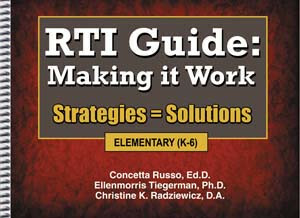 She is also the lead co-author of the best-selling book, RTI Guide: Making It Work...Strategies = Solutions, a publication of National Professional Resources, Inc./Dude Publishing.